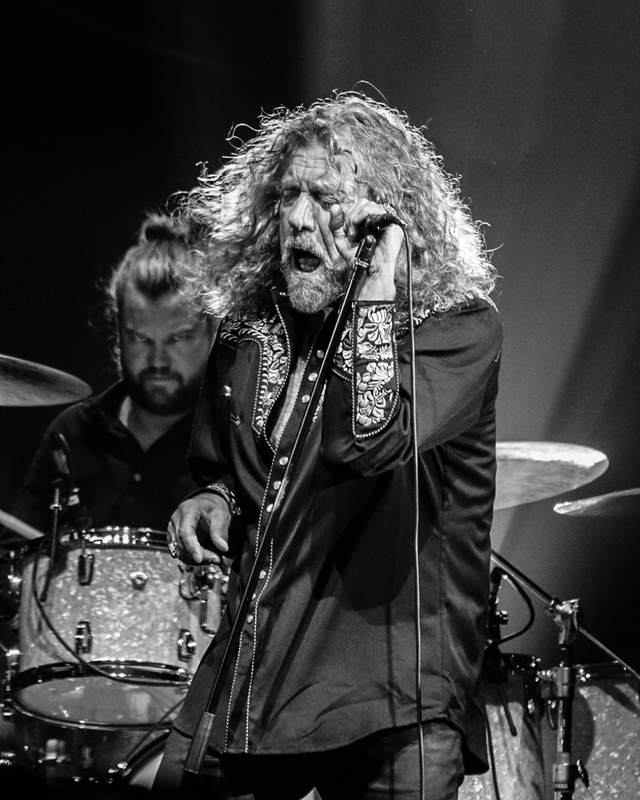 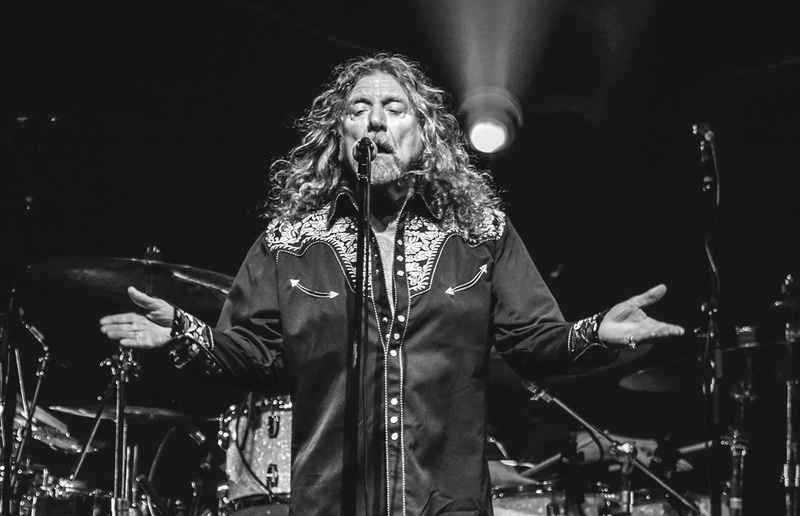 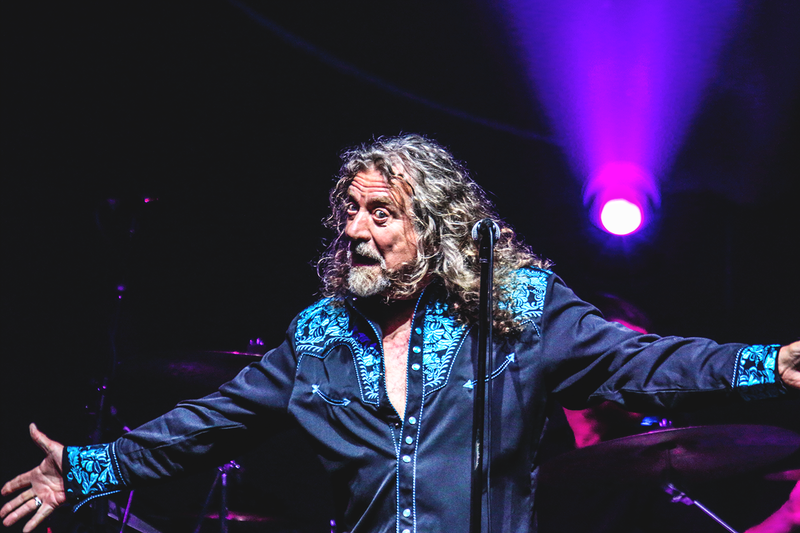 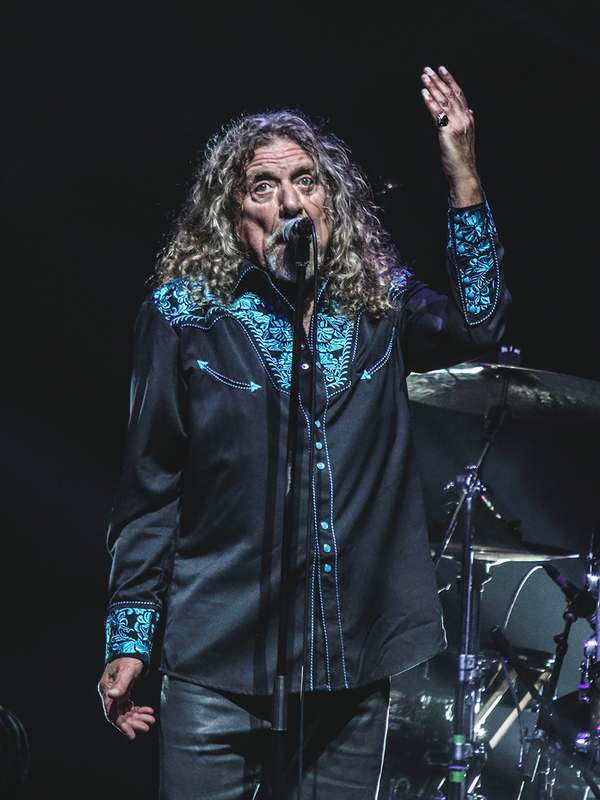 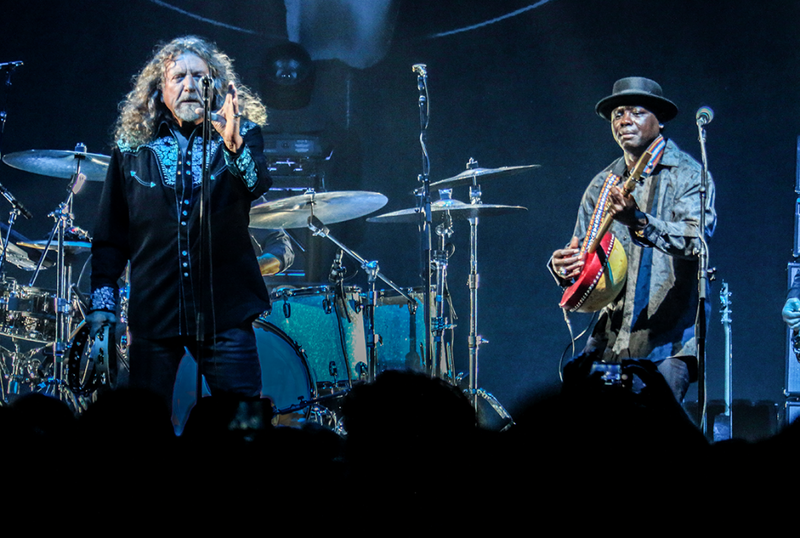 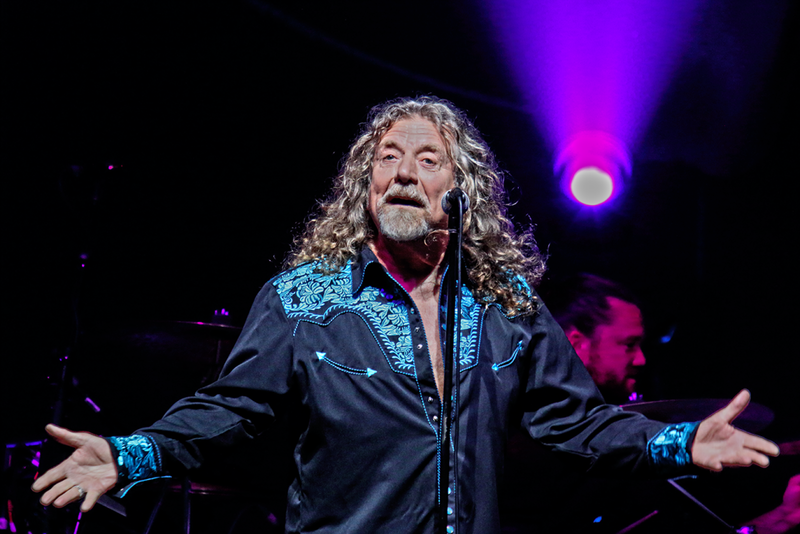 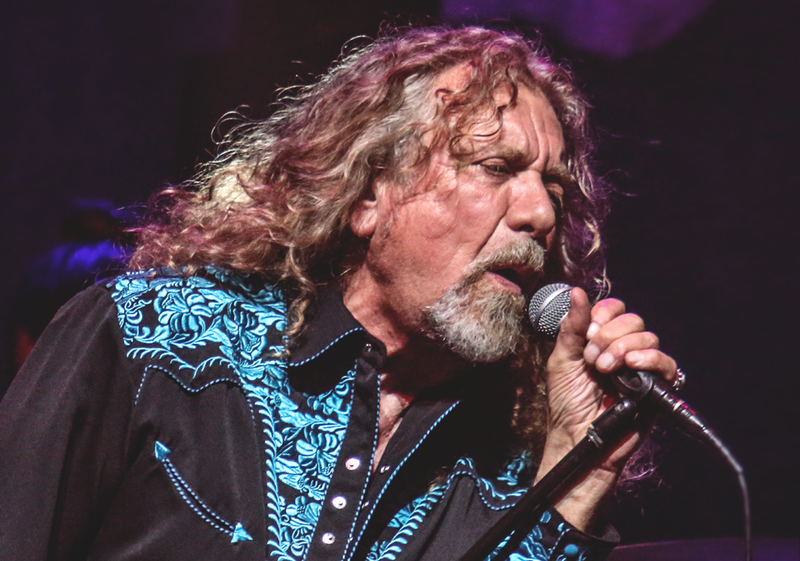 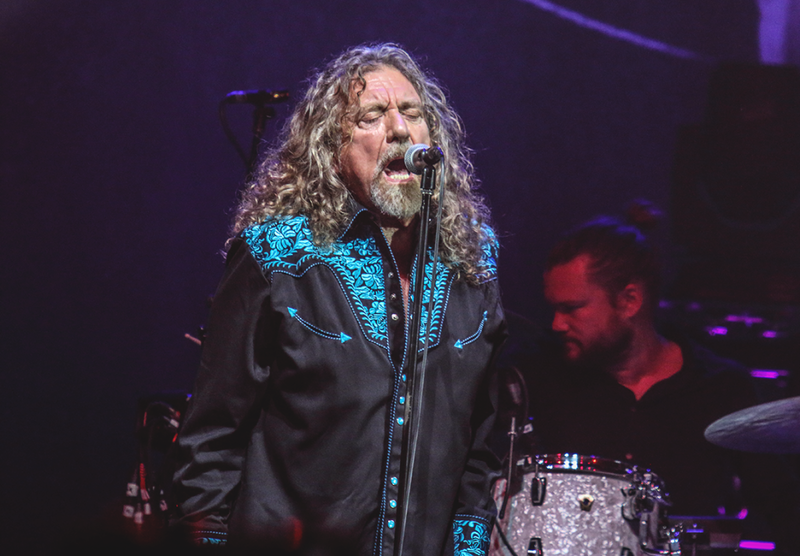 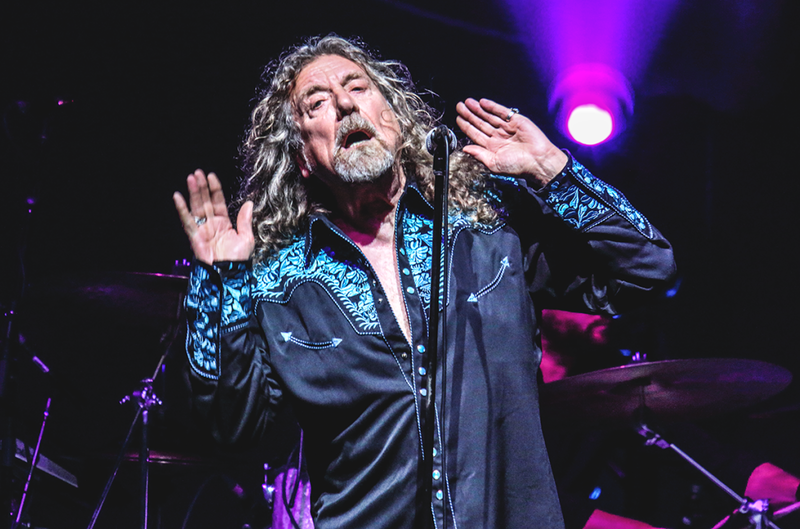 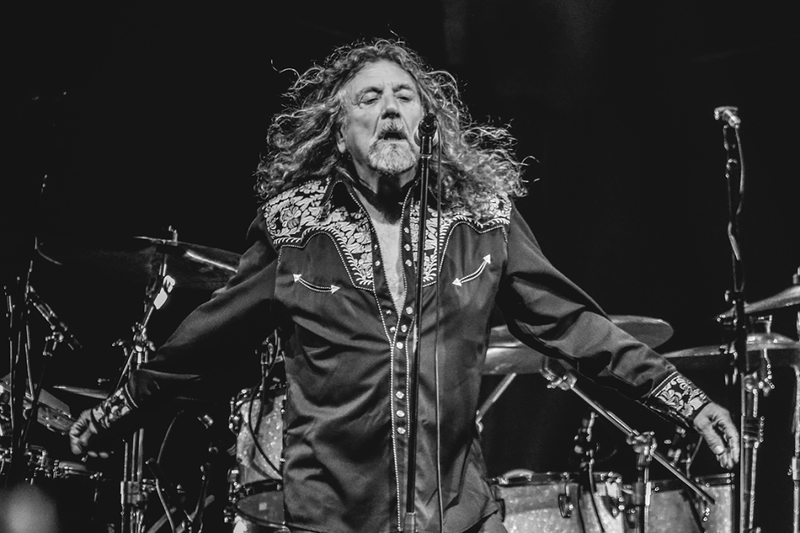 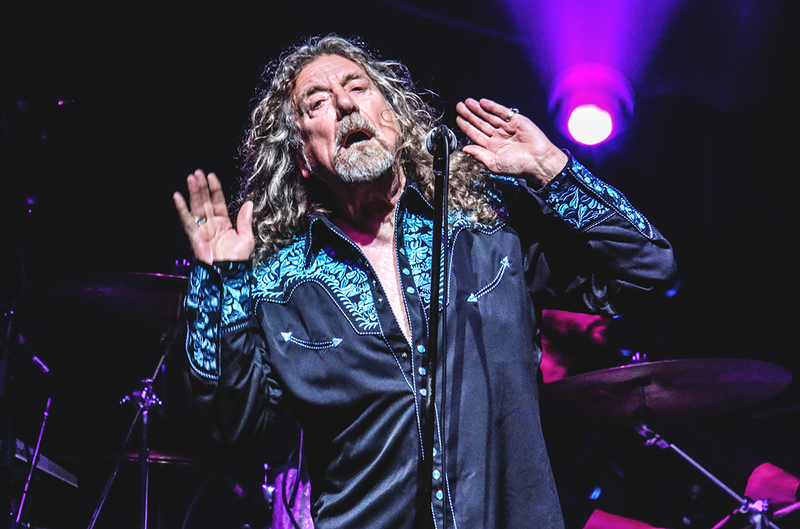 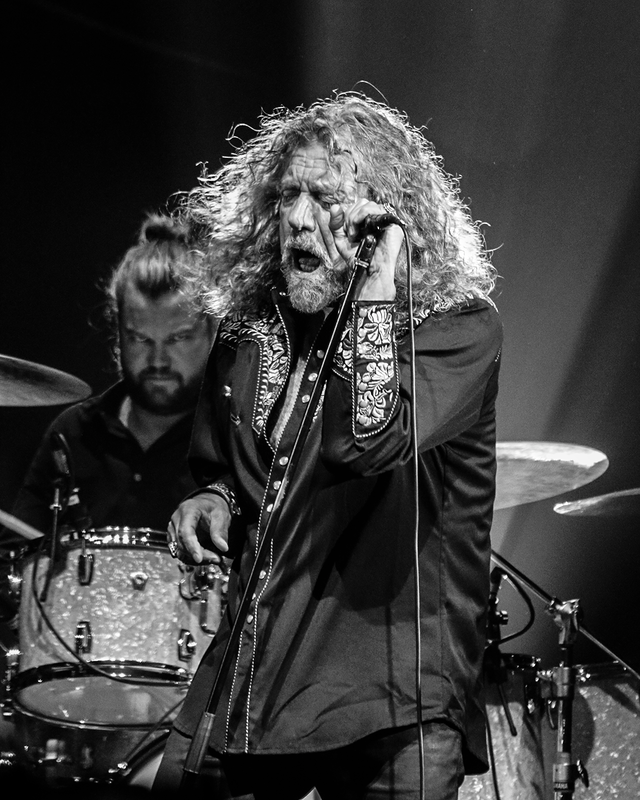 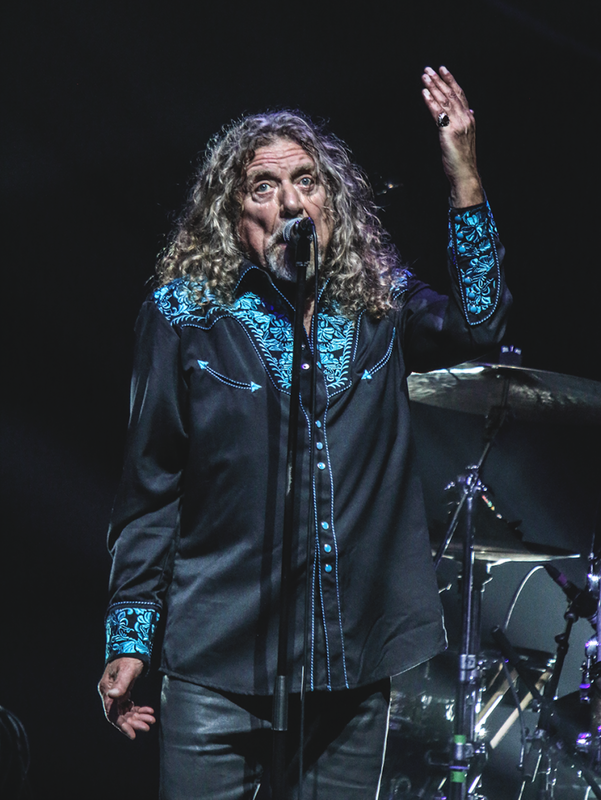 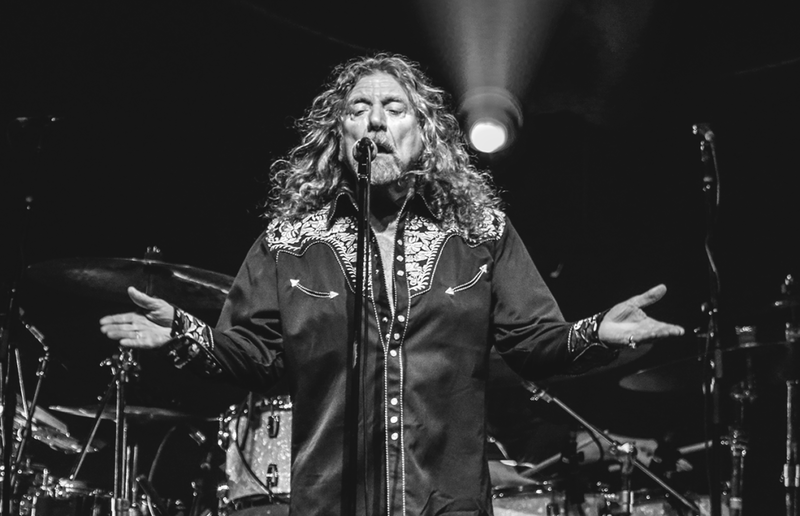 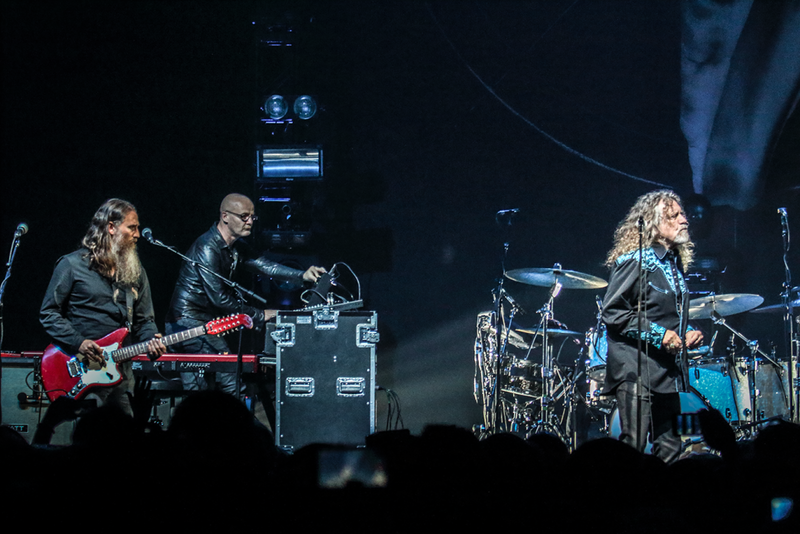 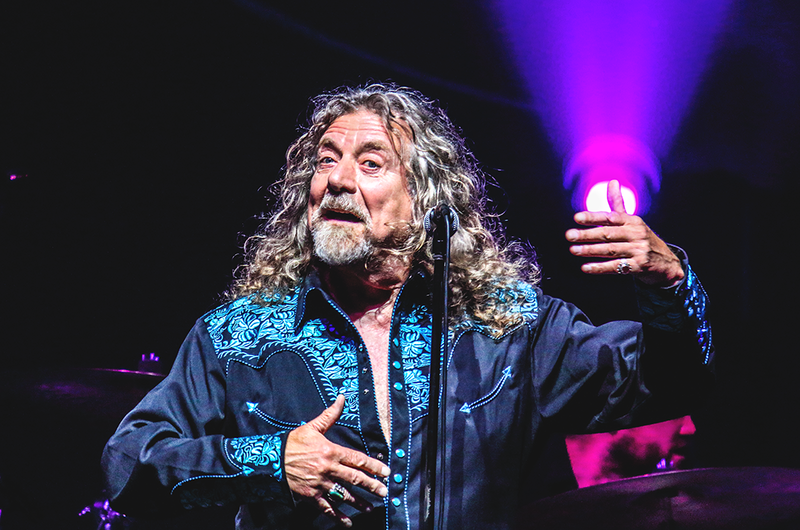 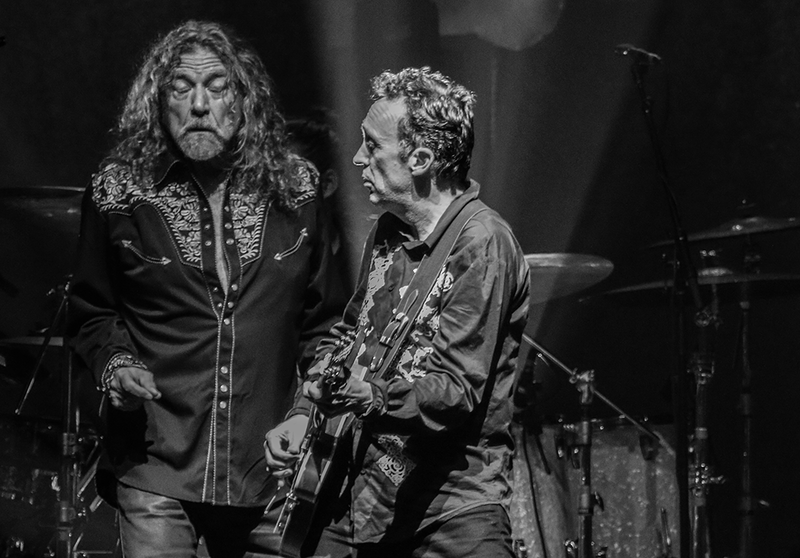 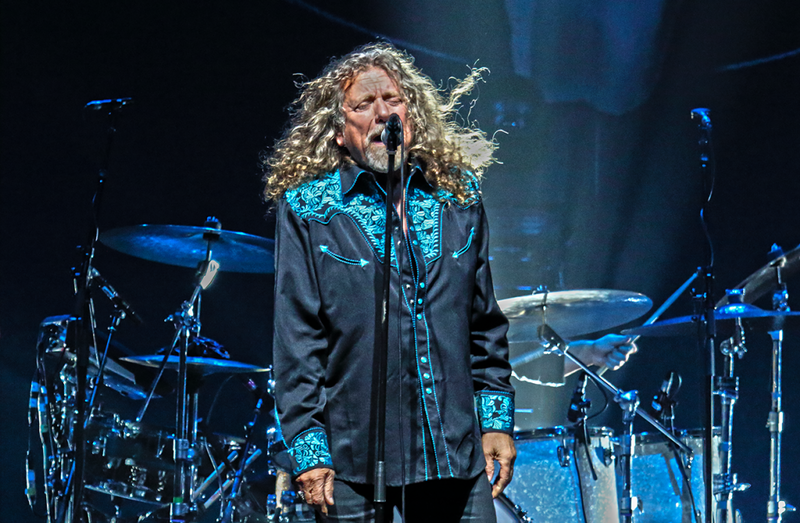 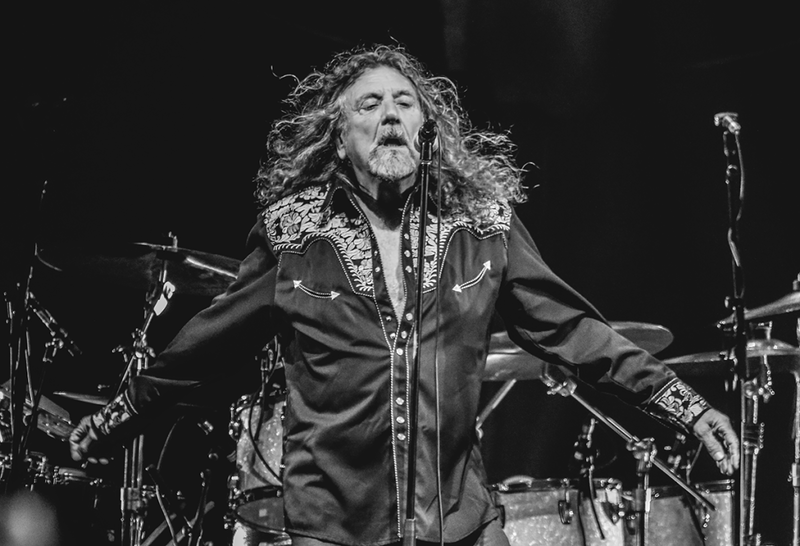 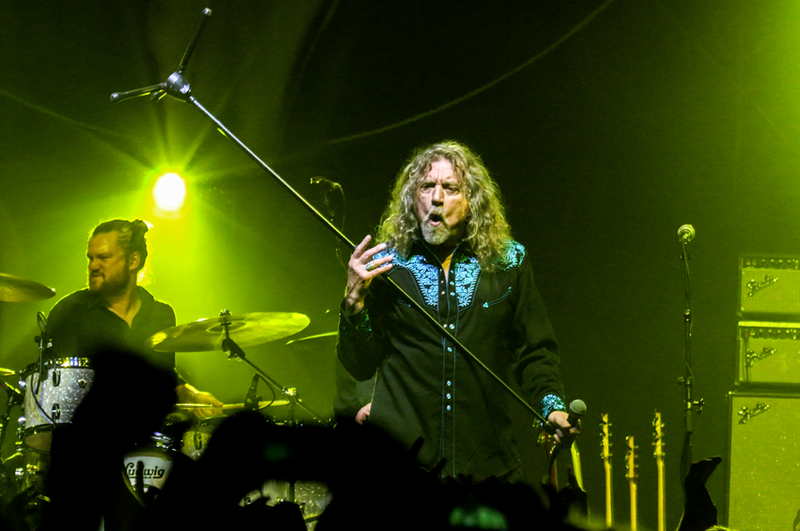 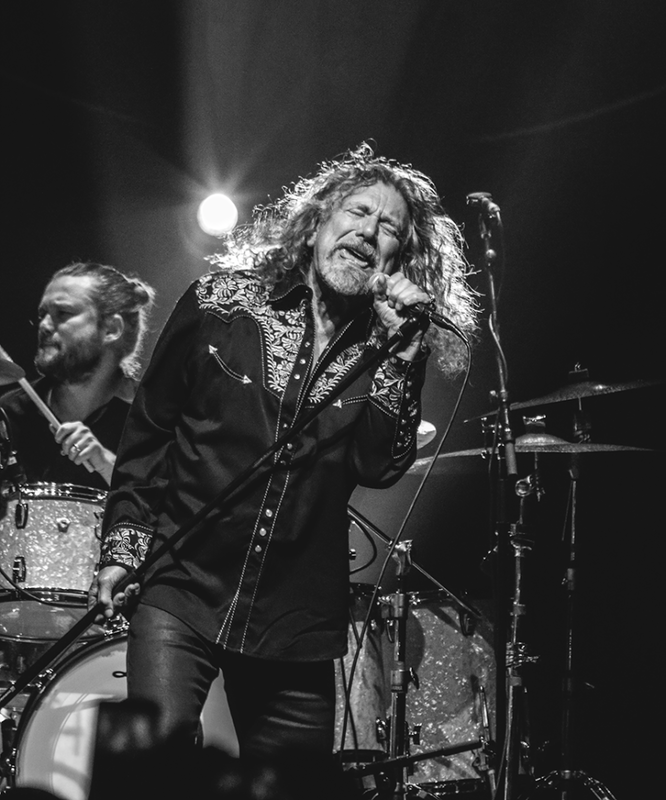 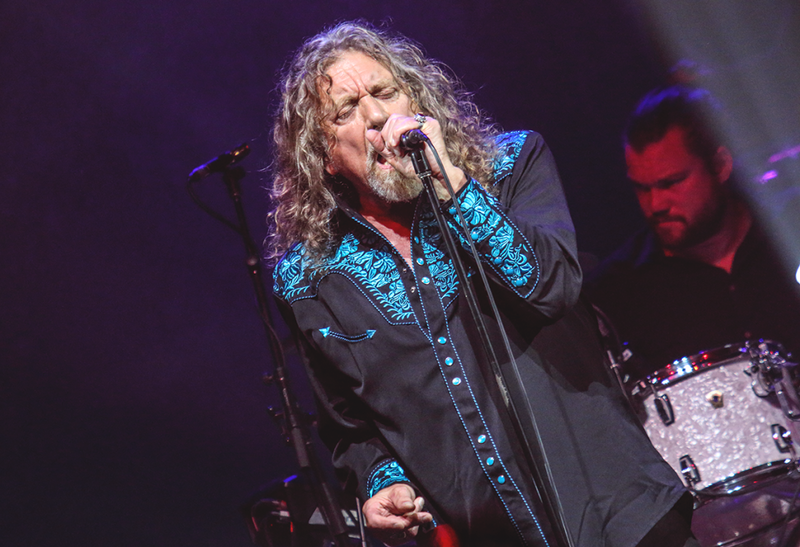 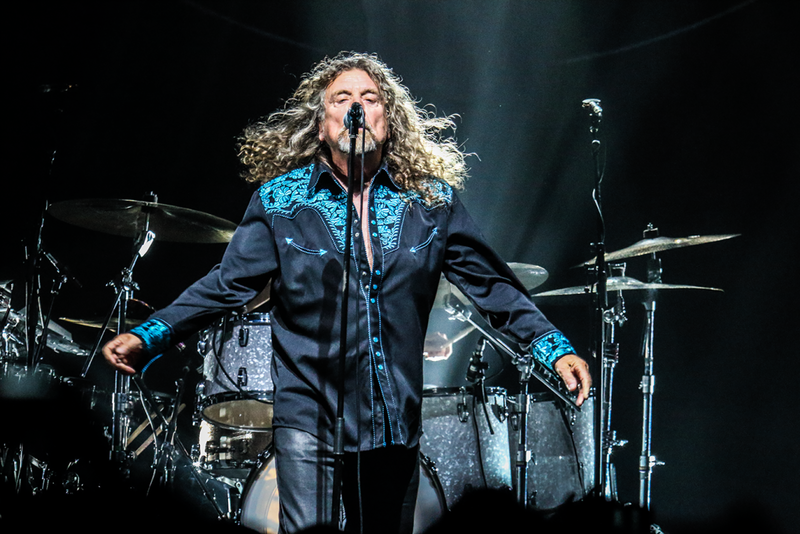 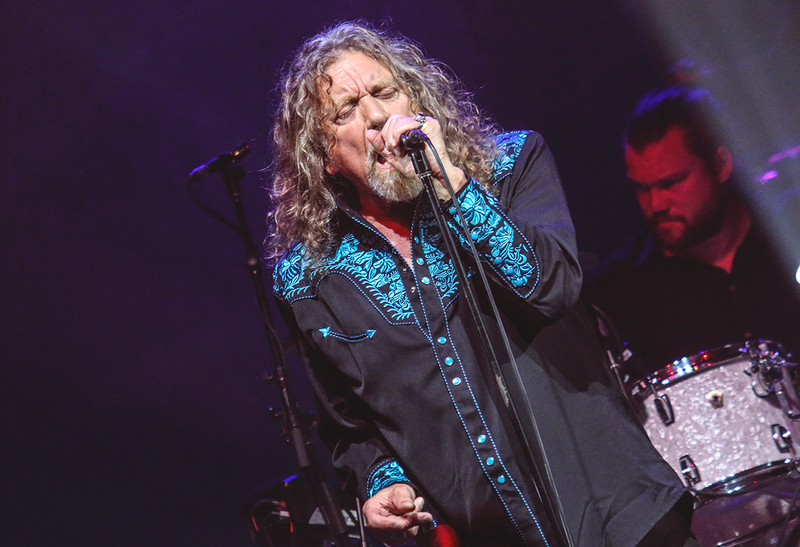 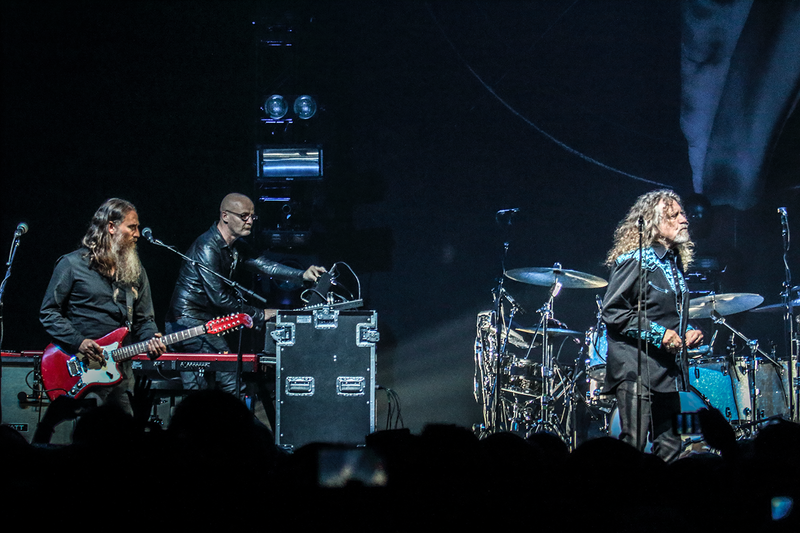 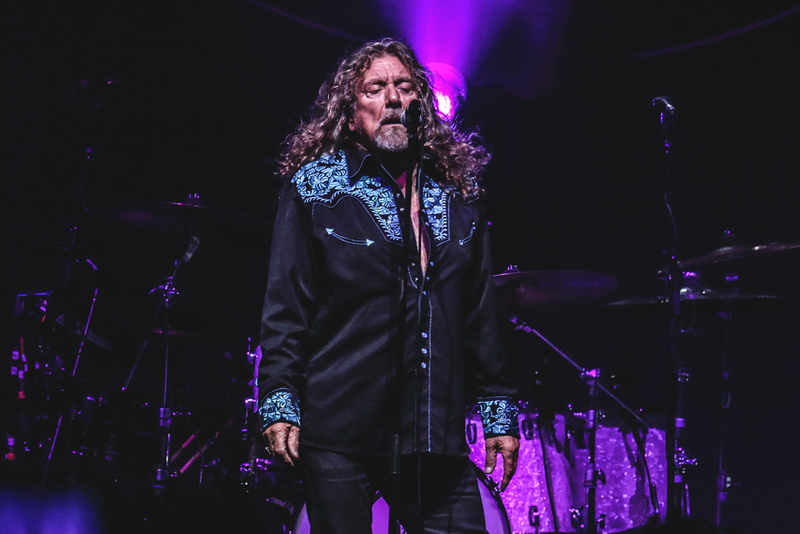 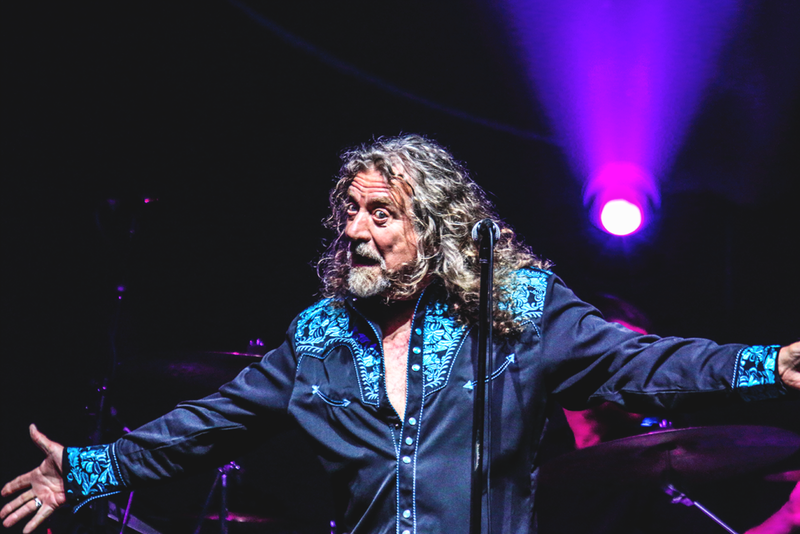 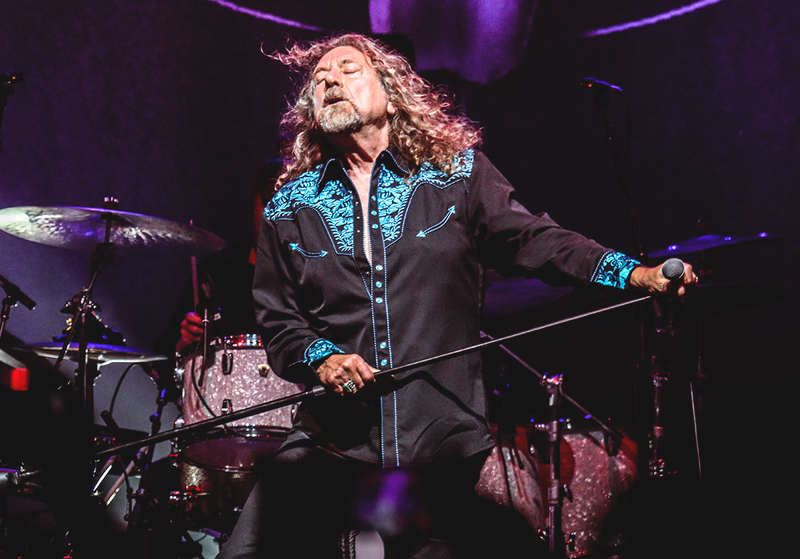 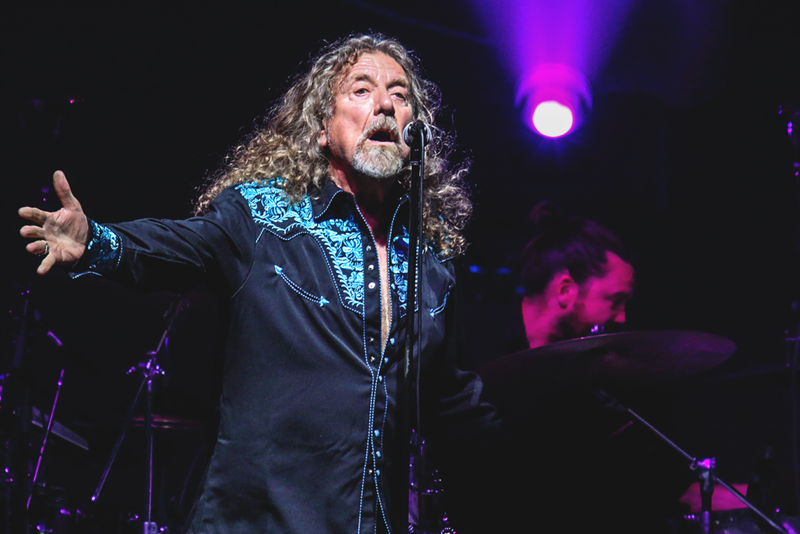 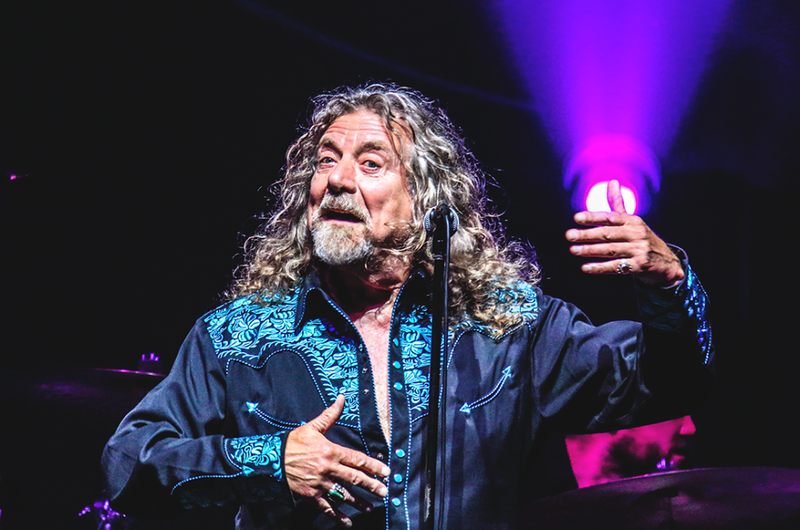 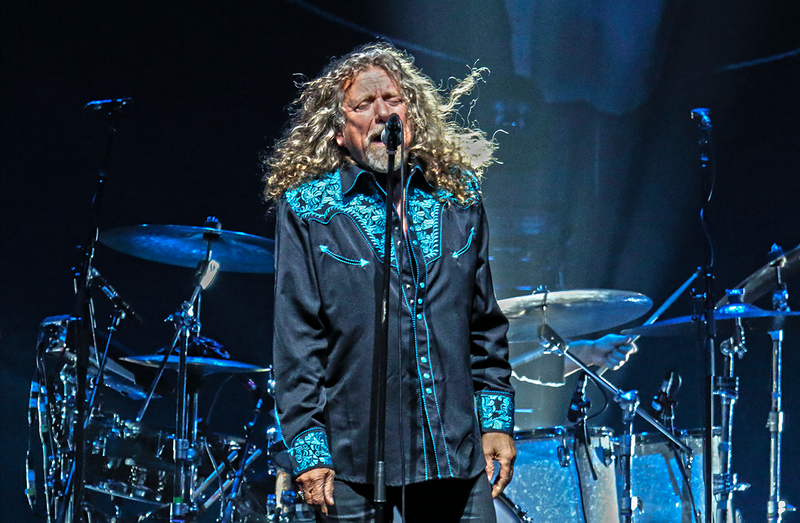 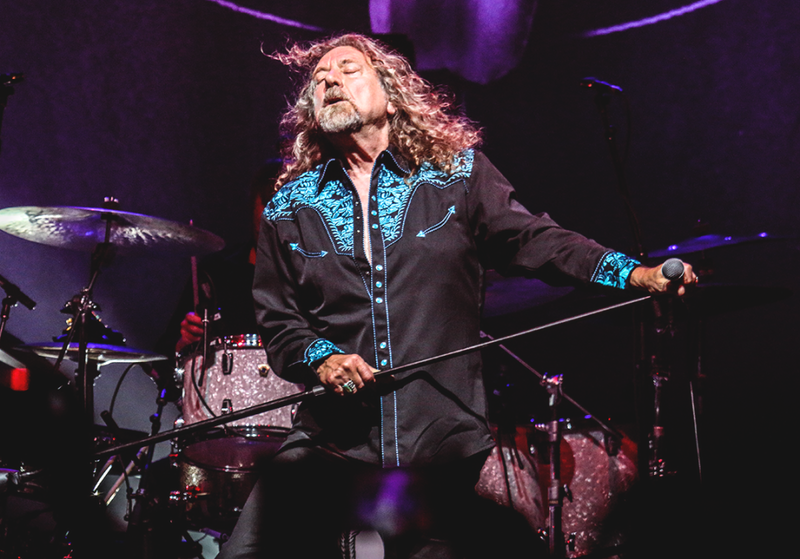 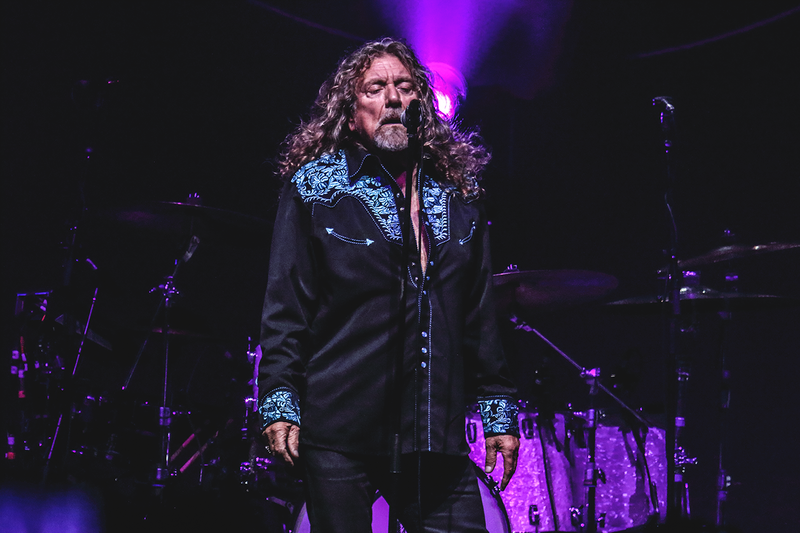 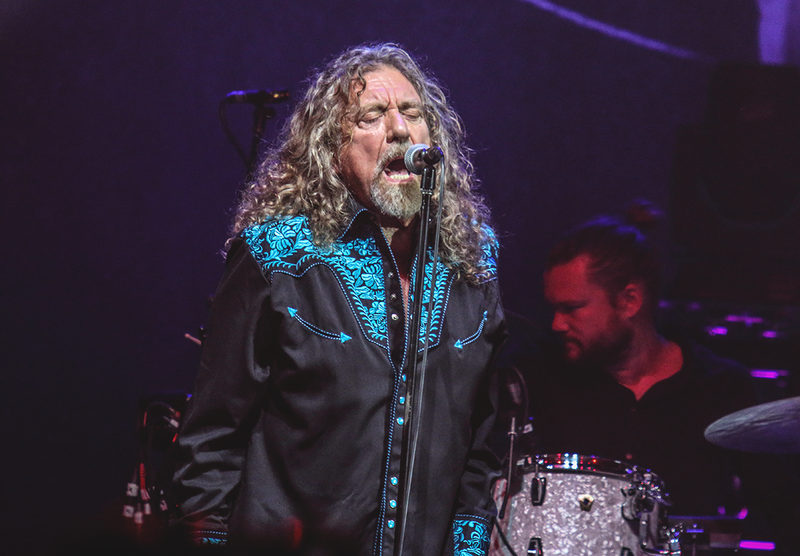 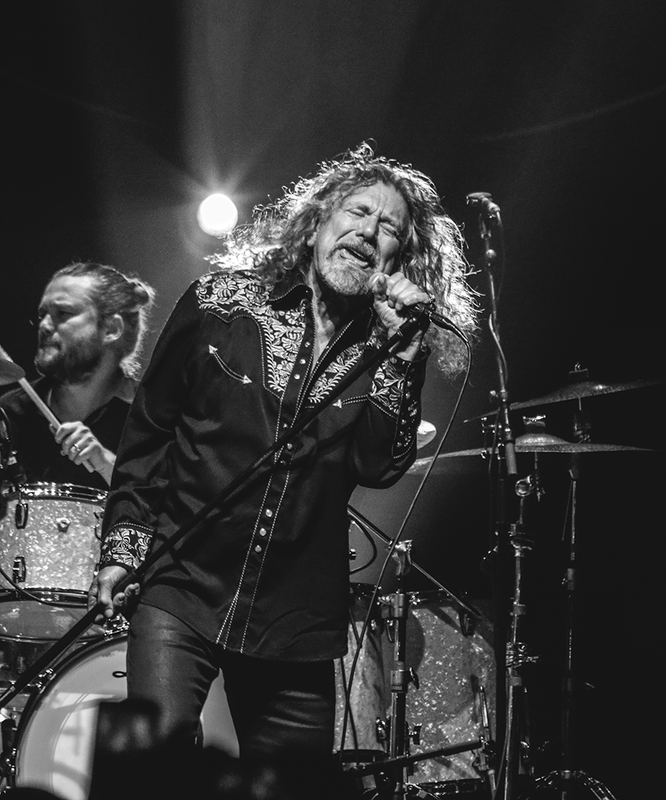 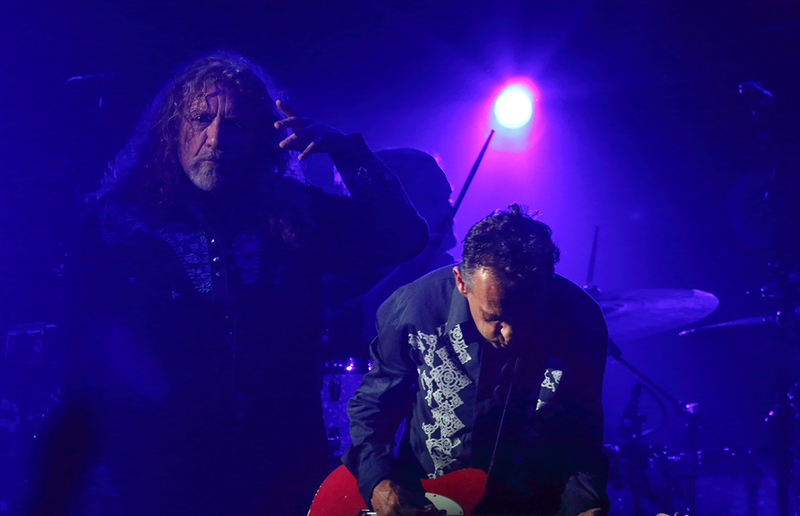 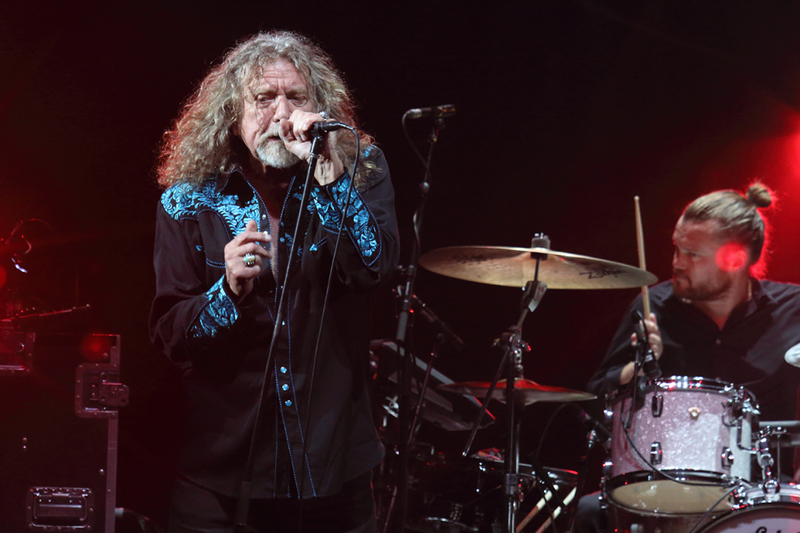 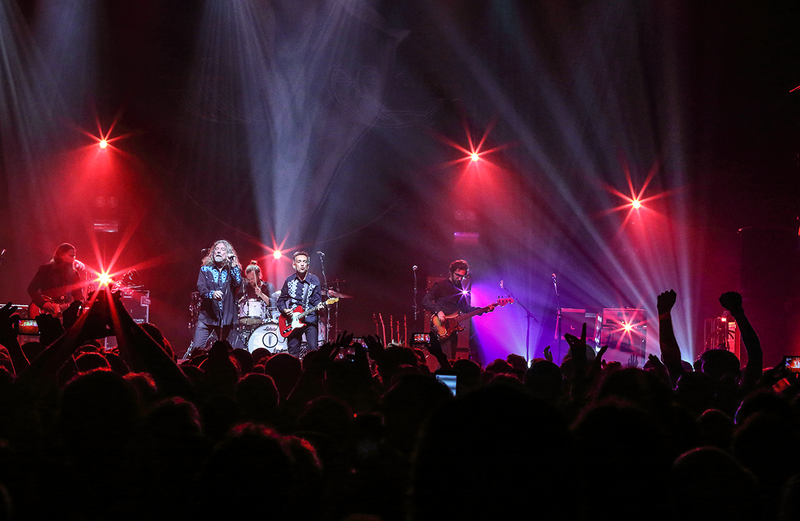 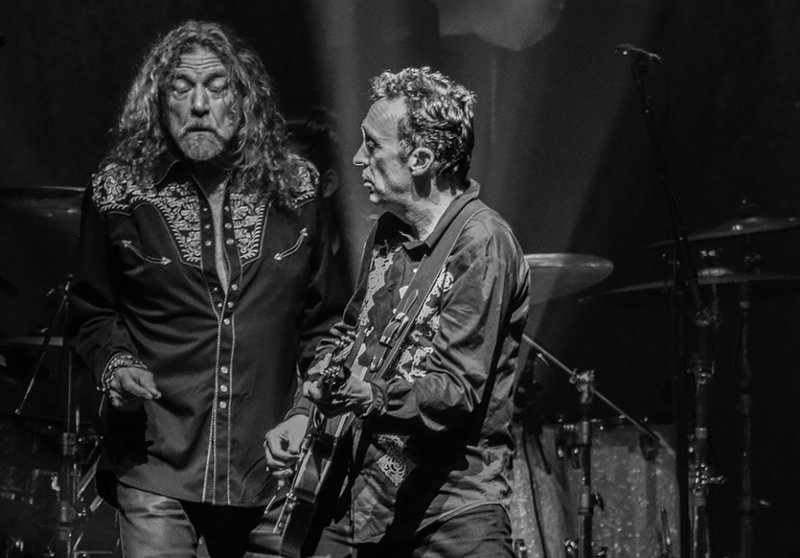 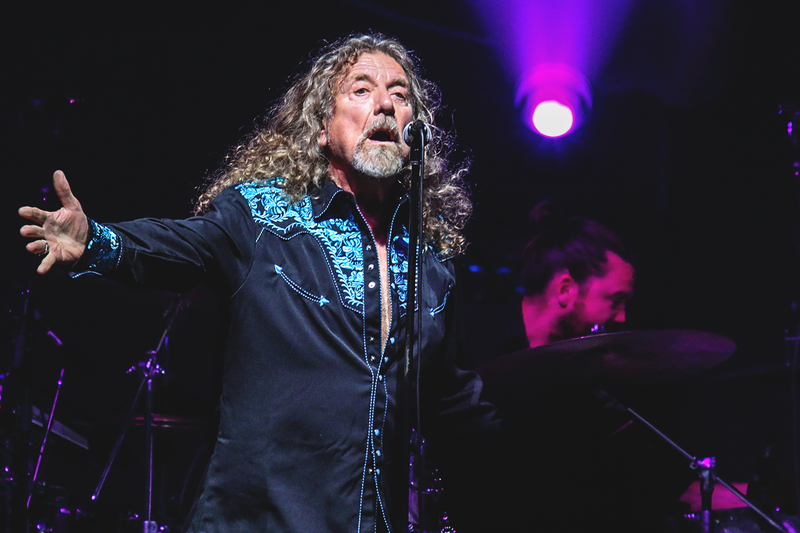 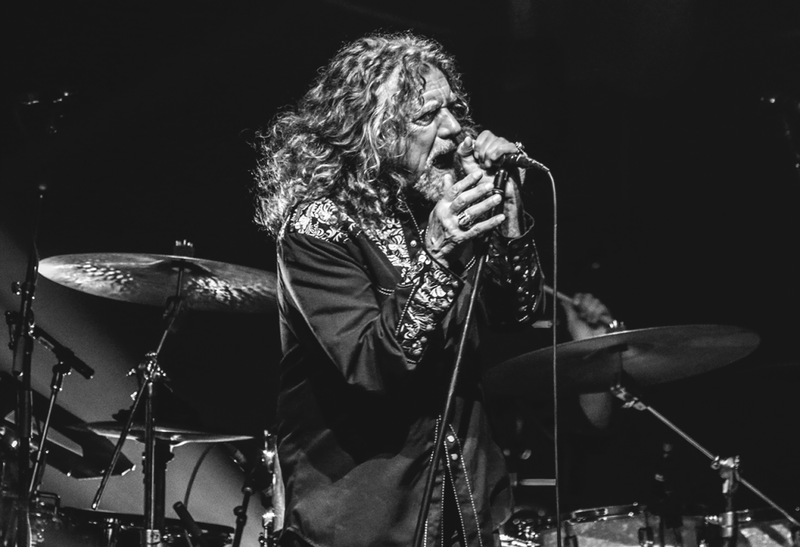 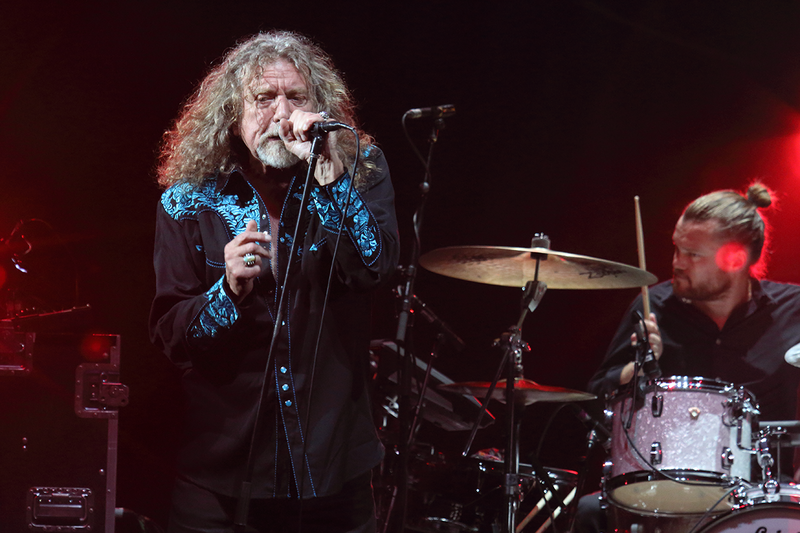 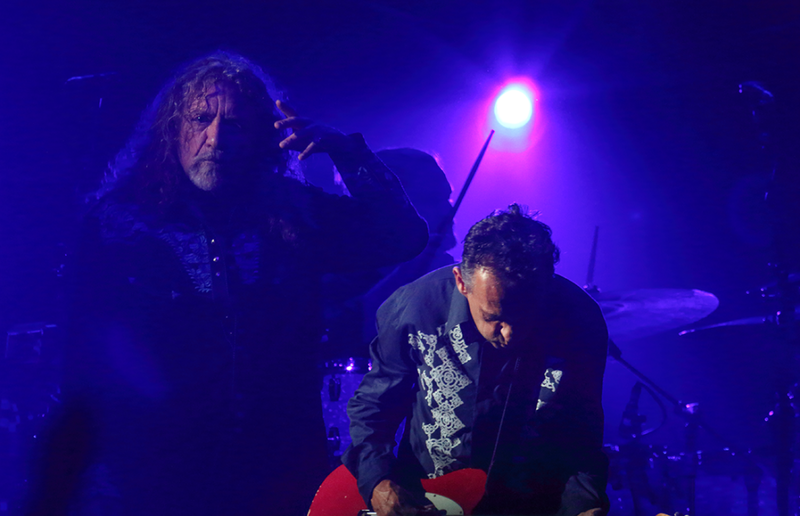 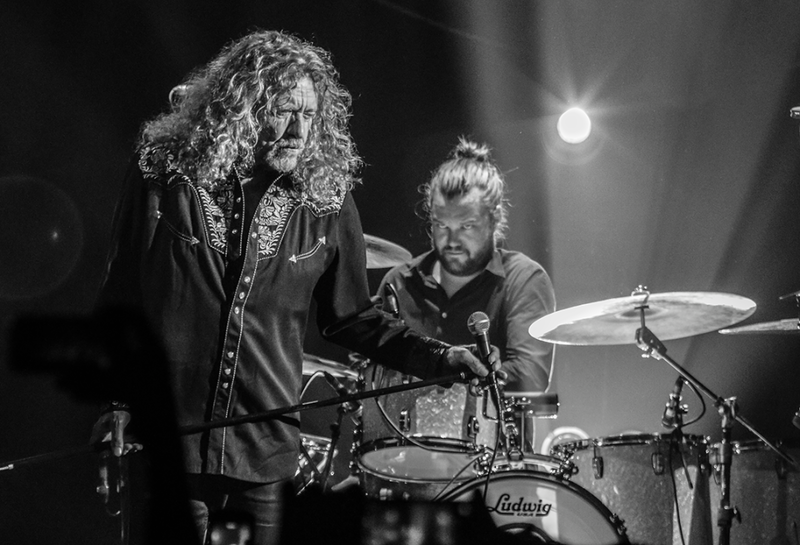 Most fans have lovingly embraced Robert Plant’s out-with-the-old attitude, born from his noted frustration that previous Led Zeppelin reunions were “like sleeping with your ex-wife but not making love.” So thousands soldiered into Hammerstein Ballroom last night expecting an in-with-the-new setlist from his latest album, with the lineup of his aptly-named Sensational Space Shifters being the likeliest twist. 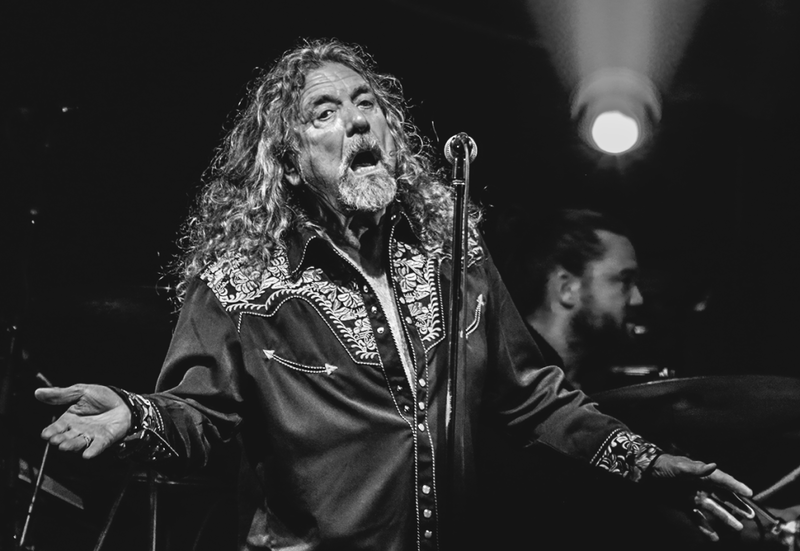 You can just imagine how quickly hearts started racing when he suddenly threw us back to 1975 with “Trampled Under Foot.” The reaction was on par with catching the Northern Lights in New York, or finding diamonds in a city gutter. 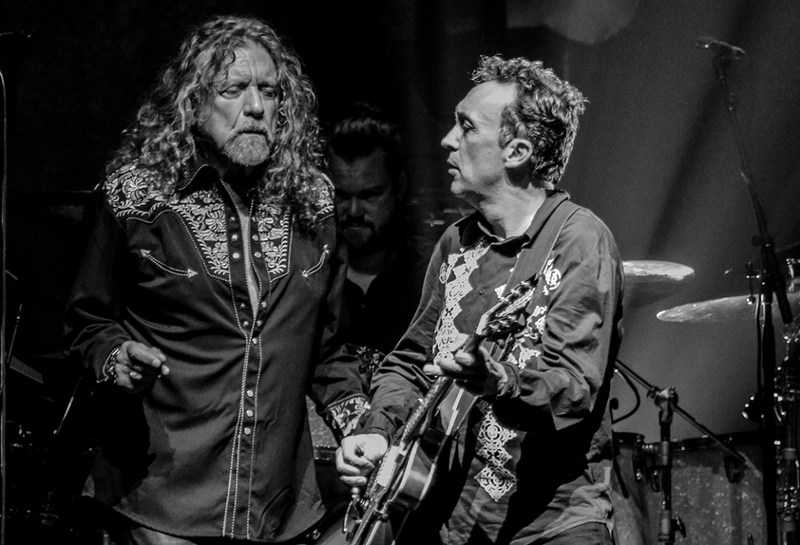 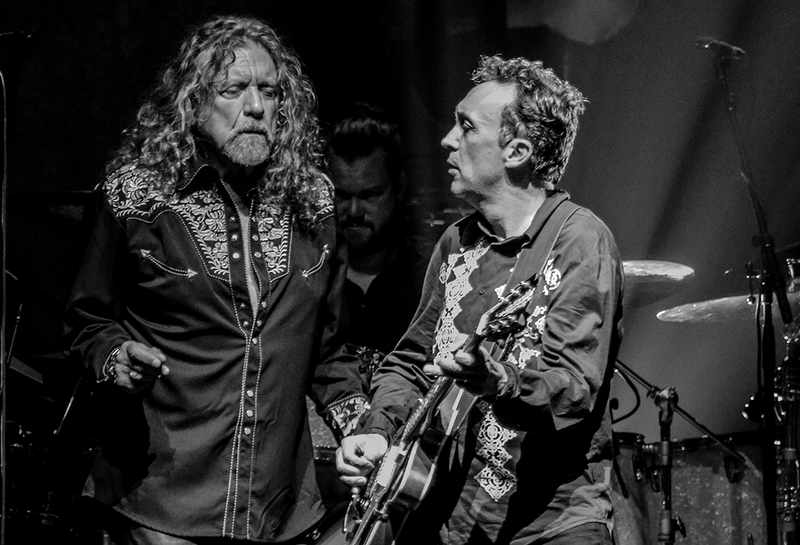 For the record, just being physically near Robert Plant is a religious experience. 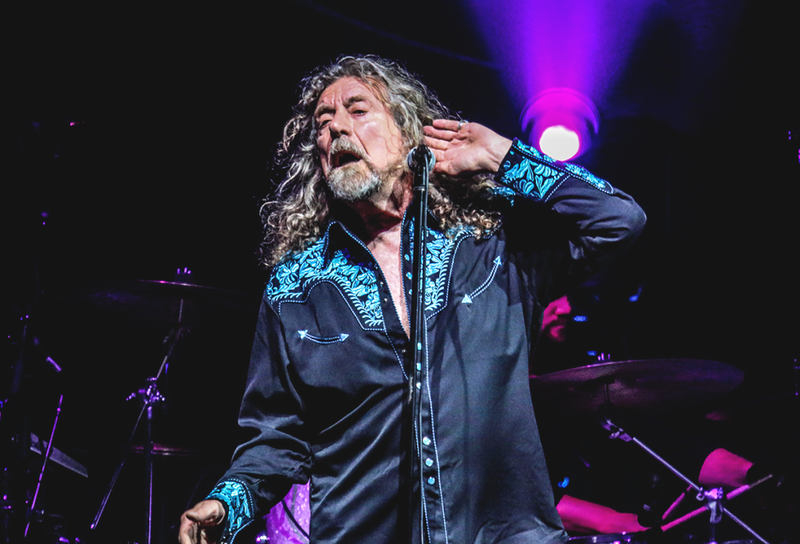 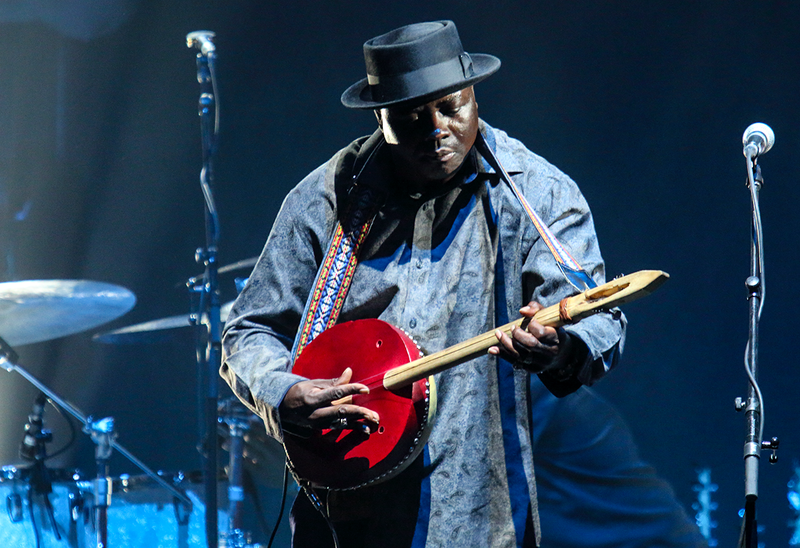 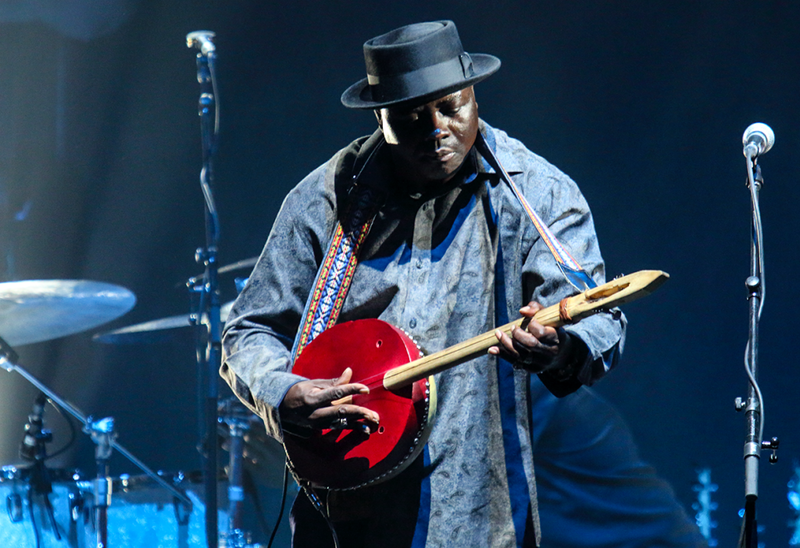 Like a snapshot from another decade, there really were fans weeping hysterically, trembling hands outstretched in an attempt to soak up his sound. 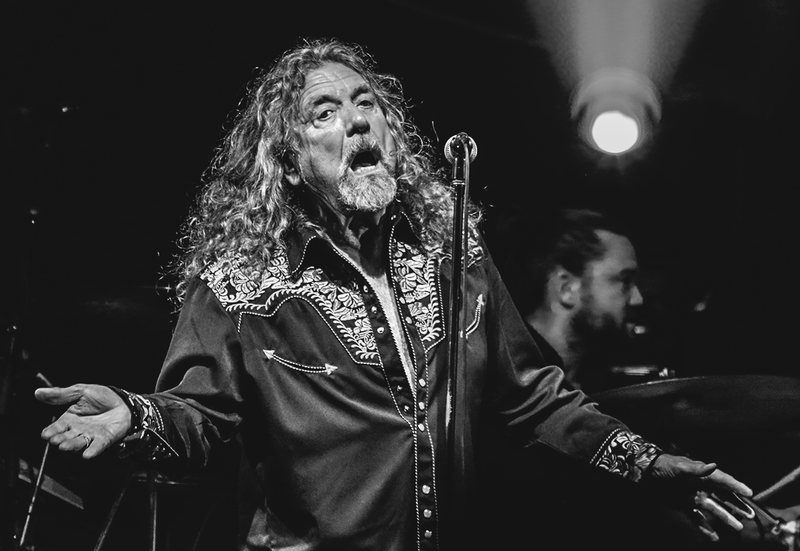 Even the soft crackle of his breath near the microphone brought out a storm of squeals. 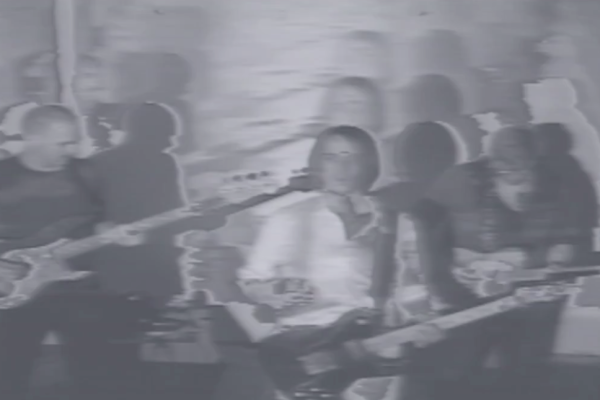 Lost in the euphoria, strangers twirled and held hands with anyone close enough to touch. 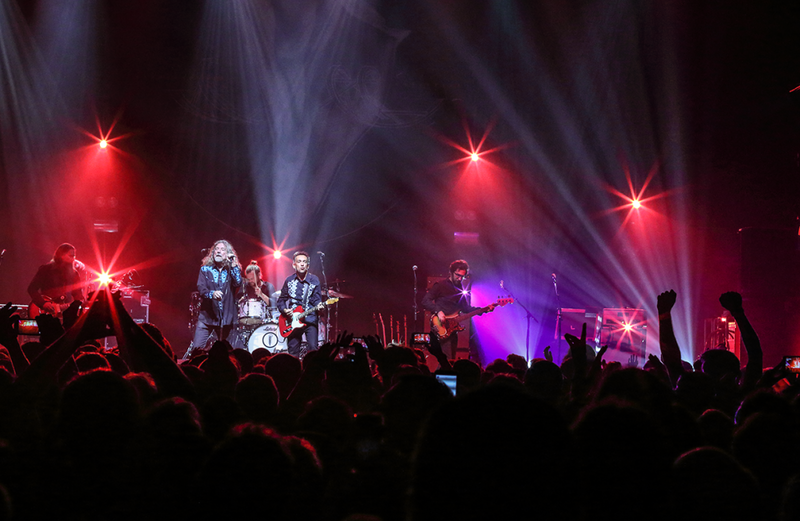 Some of the younger generation could be seen skyping the show to their dads; phones in the air, dad-filled screens aimed proudly at the stage. 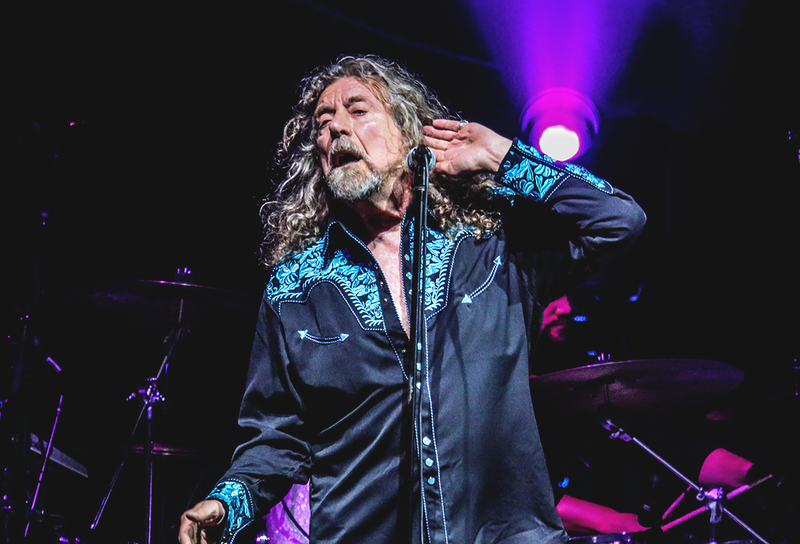 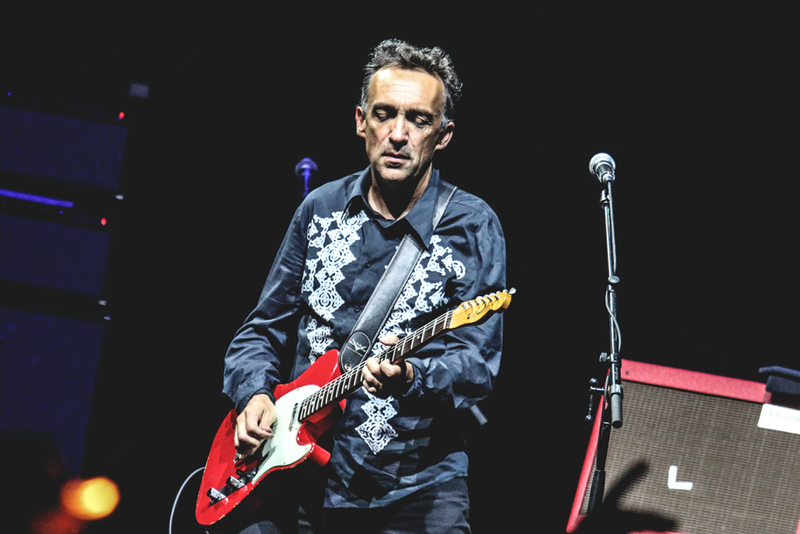 There’s a god-like elegance to everything Plant does, whether he’s simply nodding in approval during a mandolin solo or murmuring “give it to me now!” to his guitarist. 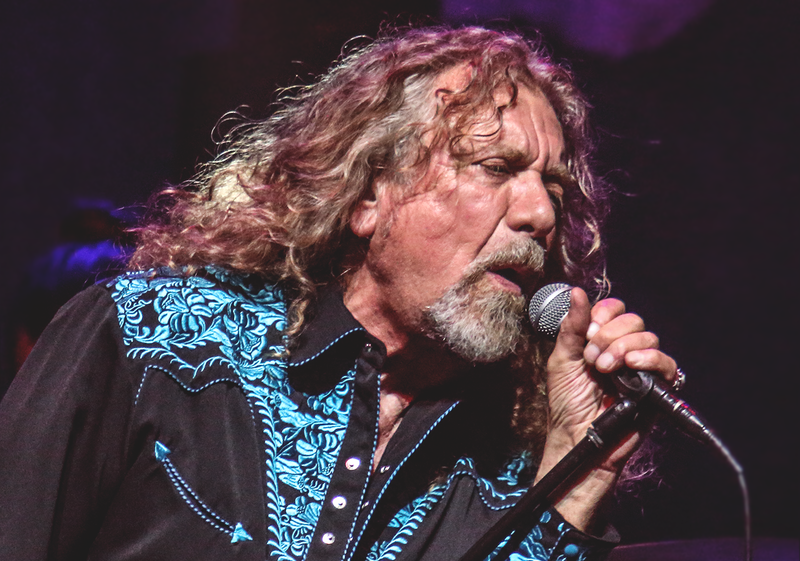 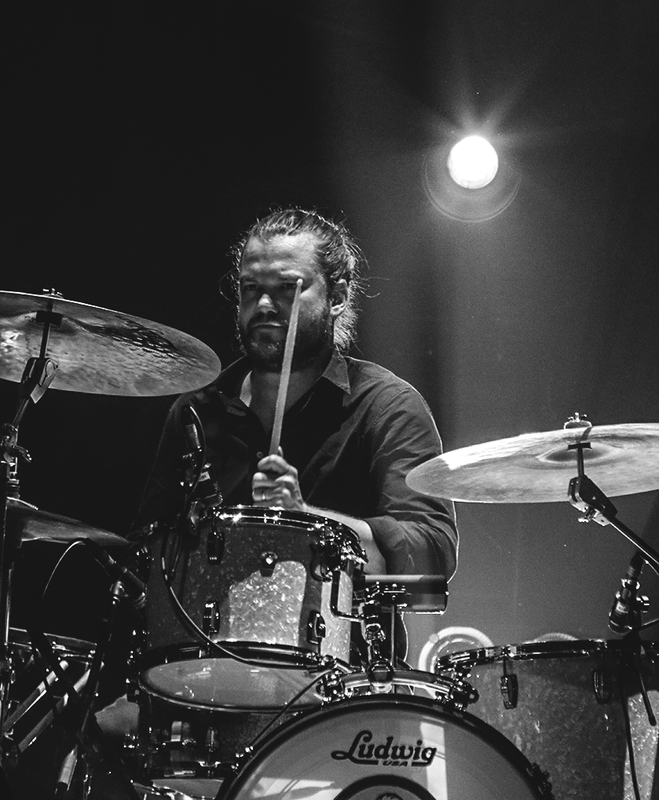 Like his luscious long hair, his vocals are frozen in time and warmly familiar. 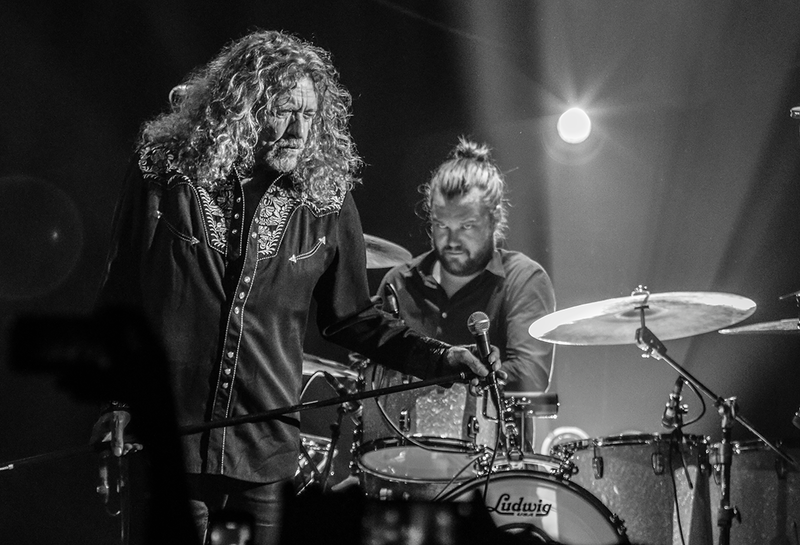 It’s a separate experience just seeing him briefly step back from the spotlight and close his eyes to listen, engrossed in the music. 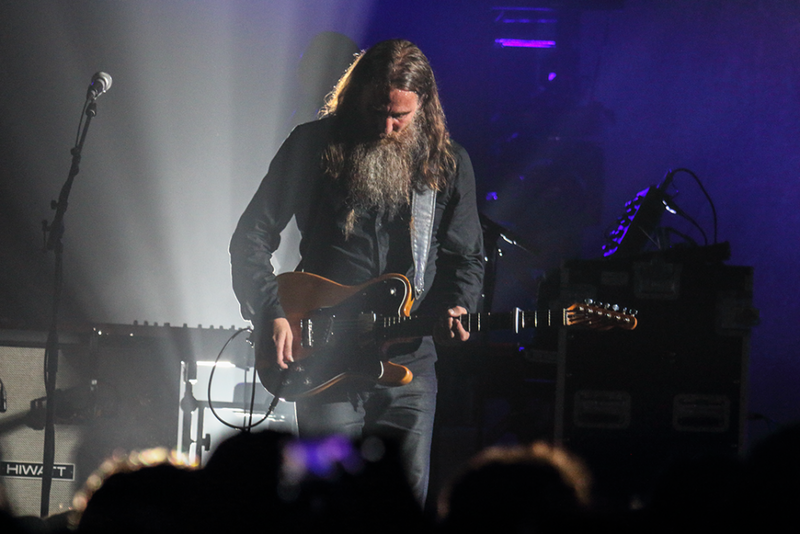 He left such a lasting impression after every song, they could have sold tickets for the spaces in between. 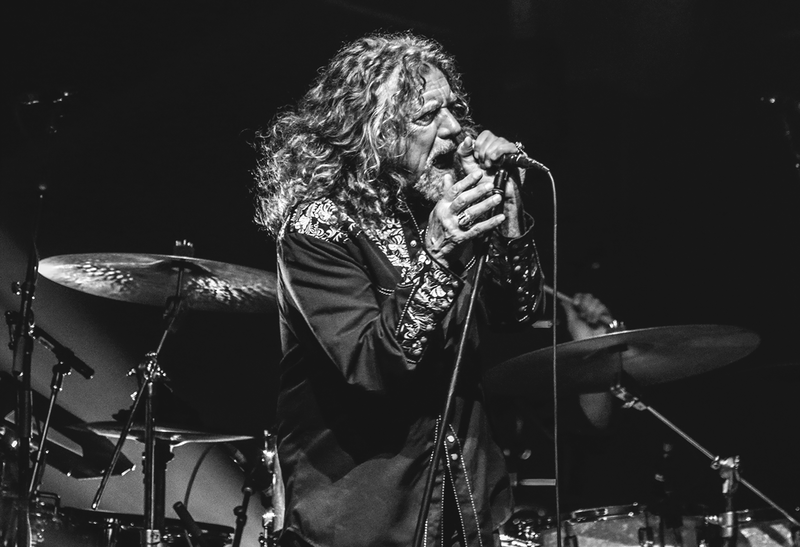 “We’ll go make another record and then we’ll come see you guys even more,” he promised casually before saying goodnight. 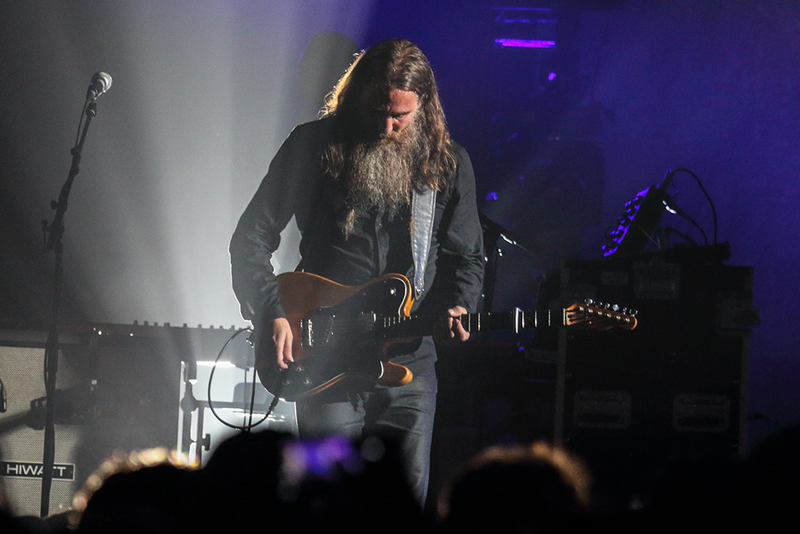 As he wandered away, you could feel the crowd trying to capture every moment and carry it home, like fireflies in a jar. 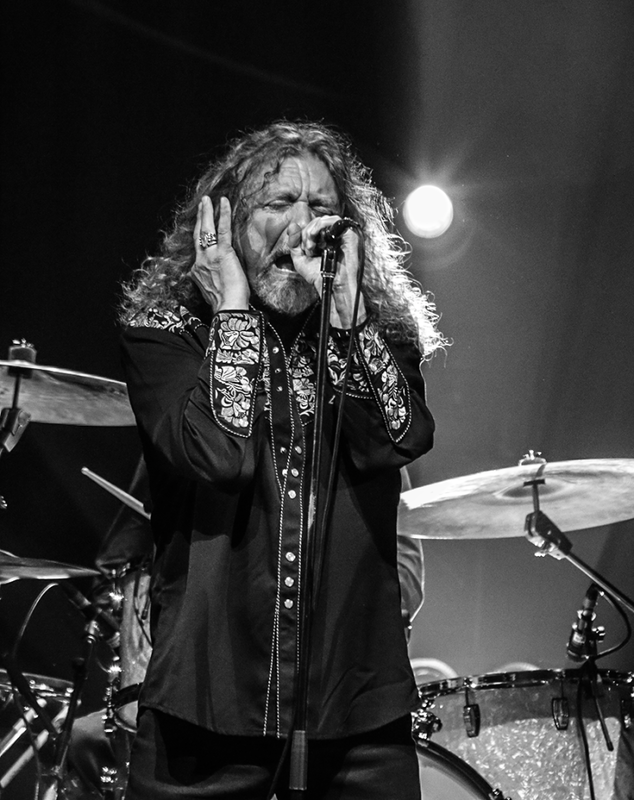 This is how music is supposed to feel. 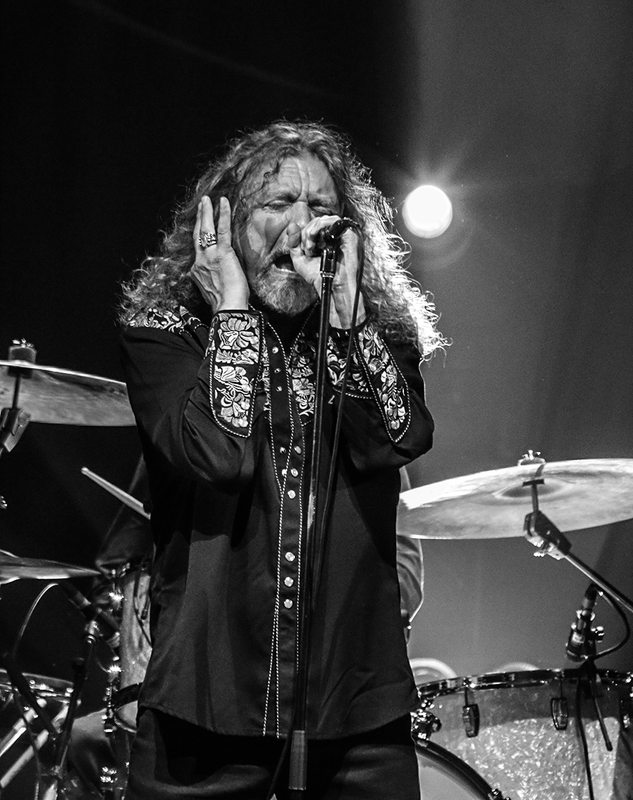 Robert Plant makes it impossible to settle for anything less.